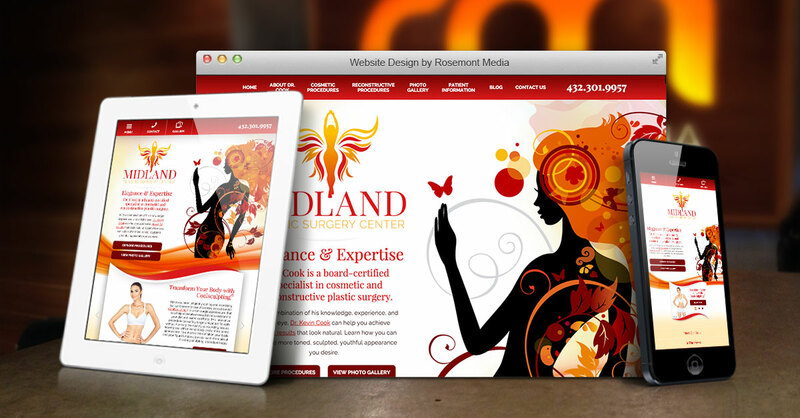 Kevin Cook, MD looked to the team at Rosemont Media when it came time to upgrade the website for his practice, Midland Plastic Surgery Center. As a leading plastic and reconstructive surgeon, Dr. Cook aimed to develop a website that reflects the prestige of his practice, offers a comprehensive informational resource for patients, and helps expand the visibility of his practice on the web. Working together with the Rosemont Media team, Dr. Cook co-developed a customized website package that incorporated all of the innovative features and functions he was looking for, including advanced Medical SEO strategies, intuitive navigation, responsive design, a blog, custom content development, and beautiful design elements. To see an example of the type of website design Rosemont Media can create for you and your medical practice, please contact us today.